According to consulting firm Counterpoint Research, Huawei has surpassed Apple for the first time in global sales, making them the #2 smartphone brand in the world, for the time being. 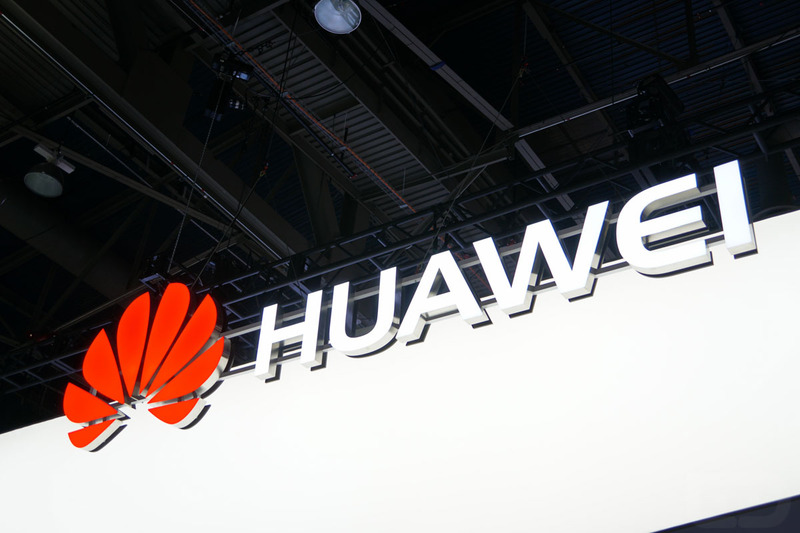 While Huawei is not the most popular brand here in the US, the China-based OEM has great presence in Asia, Europe and Latin America, big enough to take away Apple’s positioning. As I hinted, this rank may not last forever, though. Because Huawei has little presence in the US (maybe not for long), Apple could overtake with the upcoming launch of its new iPhones. 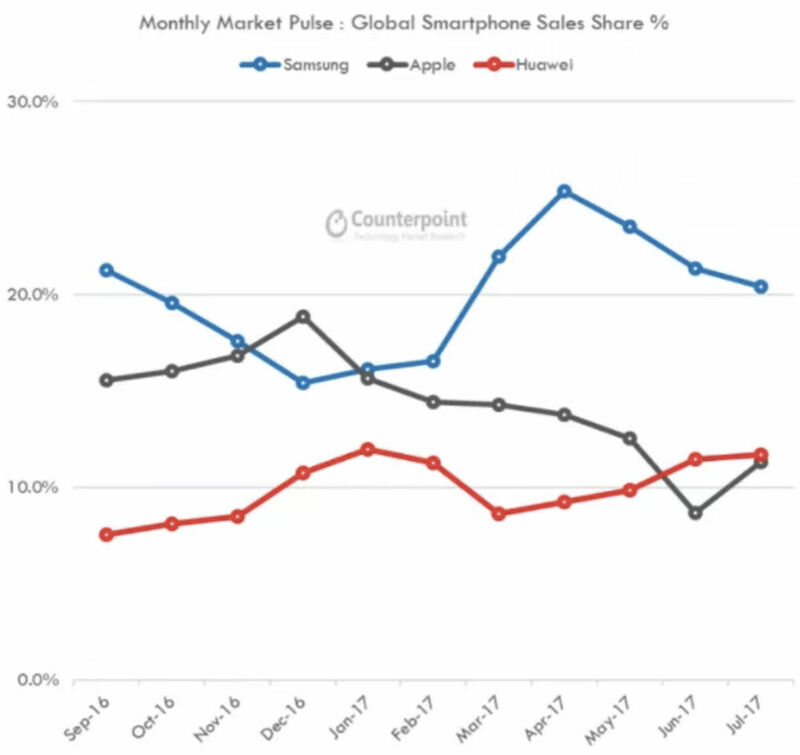 Detailed in the graph, both Huawei and Apple sit a little above 10%. In a world full of countless smartphone brands, that’s pretty good. However, in a world with Samsung, who has a presence in every market imaginable, it’s hard to compete if marketshare is the only thing you’re trying to compare. Even though Samsung has the most marketshare, they do not have the most popular smartphone. That award belongs to Apple with the iPhone 7 and 7 Plus, being #1 and #2, respectively. In fact, on that list, Samsung ranks at #5 (Galaxy S8), with OPPO holding the #3 and #4 spots. Beyond that, we have Xiaomi, then more Samsung and Apple rounding out the top 10 popular devices in the world. If you’re Huawei, the moral of the story is, take the US market seriously. Get on carriers, market your device heavily, and pray the device is well received. After the Nexus 6P launch, Huawei had a real shot at brand recognition, at least among American Android nerds, but things will only get harder the longer Huawei waits. If reports are accurate, and AT&T does intend to carry a Huawei flagship next year, that could be a big deal.